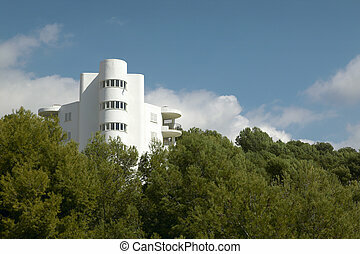 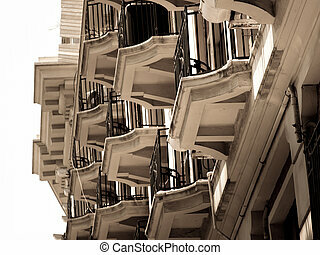 Balconies of residential building at mediterranean place with pines. 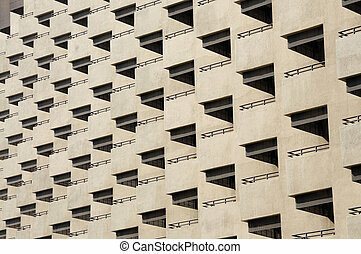 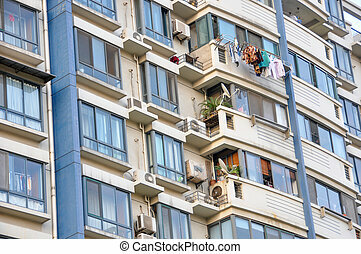 Balconies of the residential building in Shanghai, China. 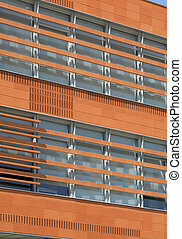 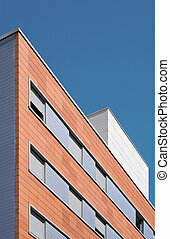 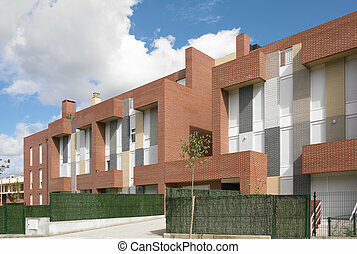 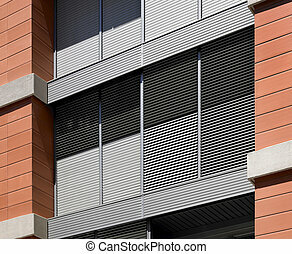 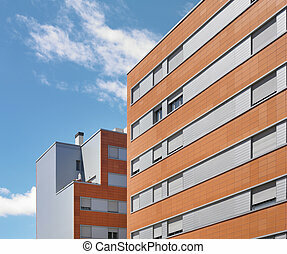 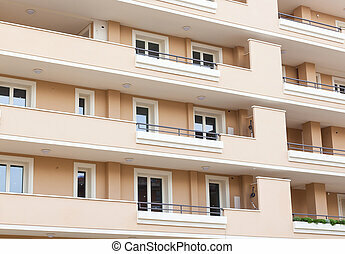 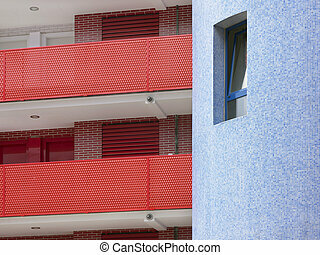 Pink facade of residential building with white windows. 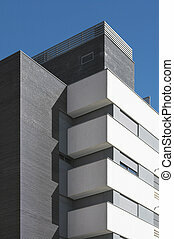 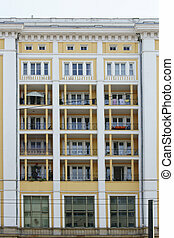 Fragment of Modern residential building. 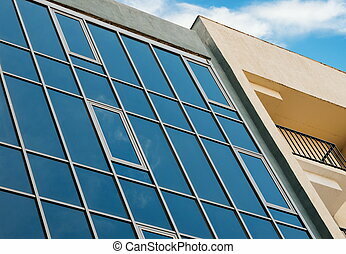 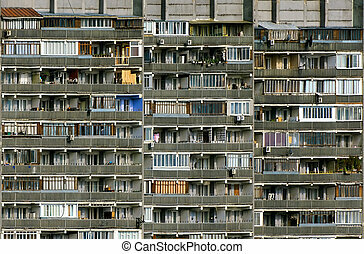 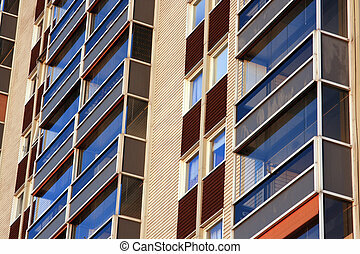 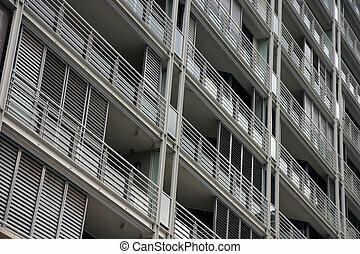 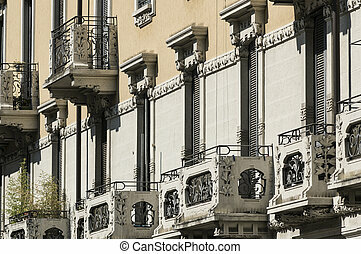 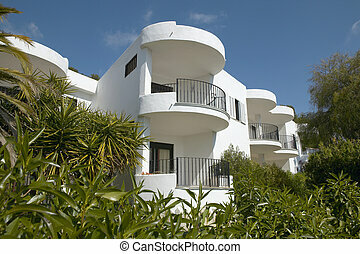 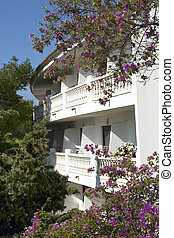 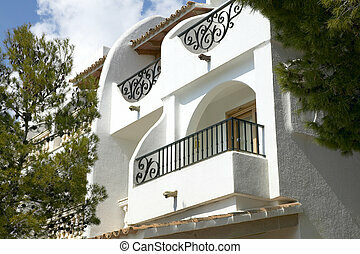 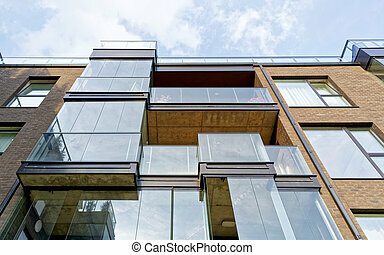 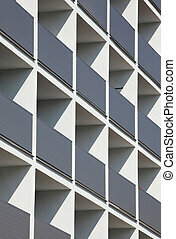 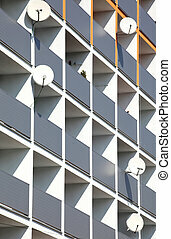 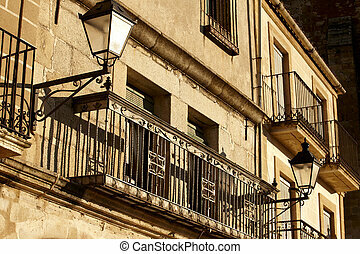 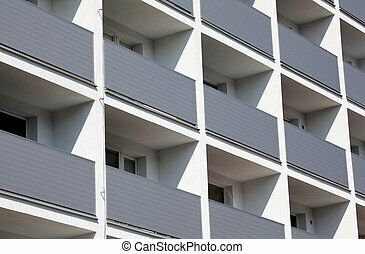 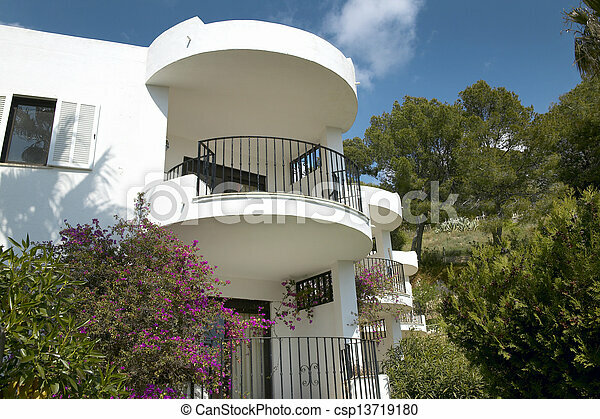 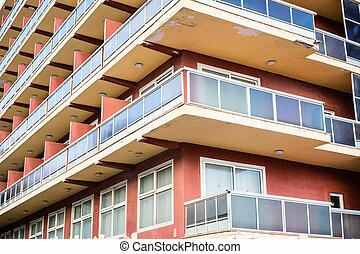 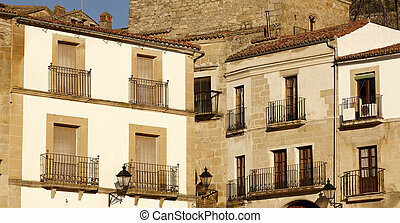 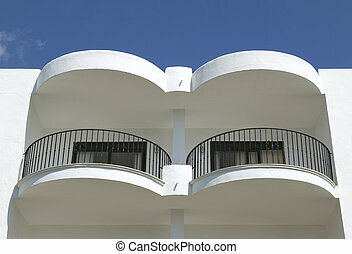 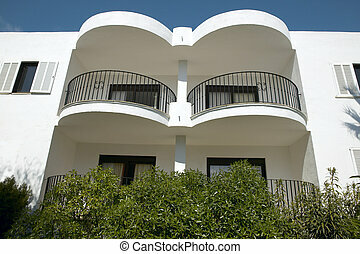 Balconies of Residential building at Mediterranean place.